For over a decade, Dave Hutchison platooned blue lines around the NHL. From Los Angeles to Toronto – with stops in Chicago and New Jersey in between – Hutchison raked in 116 points (19g-97a) and 1,550 penalty minutes in 584 regular season NHL games. Now, at 62, the former NHL enforcer finds himself fortunate enough to still reap the rewards of having played in the NHL – refereeing Alumni games from time to time and using lessons he took away from the game in his new career in real estate. Recently, The Hockey Writers caught up with the former role player for a three-part interview looking at his career, today’s brand of hockey, and some personal anecdotes from his days in the NHL. In part one, he talks about his career as an NHL enforcer, the role of the ‘tough guy’ in today’s NHL, and the unique experience he had with a Philadelphia Blazers teammate in the WHA. The Hockey Writers: What’s your hockey story – how did you make the NHL dream a reality? Dave Hutichison: As a kid, I was like any other normal Canadian boy – growing up in small-town Ontario. Back yard rinks and ponds were where we learned to play. I used to lug my equipment, you know, from probably about two miles to the outdoor rink back in the ‘50s when they still weren’t covered. Then I was fortunate – I was picked up. Actually, when I was 15 I went over and played Junior C in Ingersoll for the Ingersoll Marlins. My next year, I came to London and played Junior B with the London Squires with my intent being to come up with the Knights. I then played Junior A with the Knights. I was drafted by the L.A. Kings. But I signed a two-year contract with the Philadelphia Blazers, who became the Vancouver Blazers the following year. 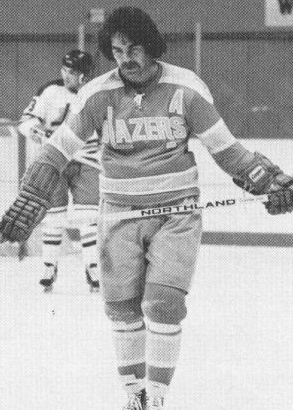 My first year was in Philadelphia and Derek Sanderson was on that team which was a pretty unique experience hanging around him for a month or two. Then they shipped him back out of the WHA. 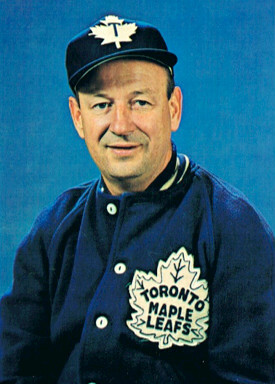 Hutchison says that former Leafs’ coach, Punch Imlach, changed the team significantly in the late 1970s. My next four years, I signed with the Kings – a four-year contract. So I stayed there and played out that contract. I became a free agent and signed with the Leafs. I was traded when Punch Imlach moved anybody who was associated at all with Al Eagleson – who was my agent. Anybody who had Eagle was gone – Sittler, Lanny McDonald, Tiger Williams – we were all shipped out of Toronto. I went to Chicago. I had a great time in Chicago. It was one of my favourite NHL teams to play for – or at least cities to play in. We went to the semi-finals that year with Doug Wilson leading the way and a young Denis Savard. I played out my contract with Chicago – another two and half years – then went to New Jersey. I played in their inaugural game, so it was 1982 I believe, and played that year out. I injured my back playing for the Devils so I retired. At least I thought I’d retired. The Leafs got injury problems the next year – in November – and the season was about 18 or 19 games old. They called me, I came out of retirement and I played my last year which was my 12th season. THW: What provoked you to come out of retirement and sign the deal with the Leafs to close out your career? DH: Well, I had a problem with the coaching in the Devils’ system. I wasn’t seeing eye to eye with our coach – Billy MacMillan. I’d hurt my back during a stupid drill he was pulling on us in practice and that was it. So I packed it in and over that time period, I rehabilitated myself. I wasn’t actively seeking employment. I hadn’t even skated in six months. The Leafs ran into injury problems on defence playing at home on a Saturday night against the Flyers – the Broadstreet Bullies – who had come in and bullied up the Leafs. I got a call on Monday from Bill Waters and Billy asked me if I could come back and play. I did. THW: Let’s go back to when you played in Philadelphia. You said playing with Sanderson was a unique experience – what made it unique? Derek says, “No. I’m buying it.” So he goes over to the phone, made a call to his agent Bob Woolf in Boston and he bought it that day. The next day they had it ready for him and he went back and got it. THW: Why or how did you end up playing defence? DH: Just came about when I was younger. I guess I was kind of a bigger guy at the time – 6’2” and 210. Back in the late 60s, early 70s, that was above average. It’s not now. But the game was a little different back then. They wanted bigger guys in front of the net to protect the goalies. You were allowed to actually hit somebody if they were in front of the net back then. Now you can’t. So that’s where I came in. See my father never allowed me to fight. That’s one thing he refused me to do. He passed on when I was 16 or 17. Then I got into playing junior where fighting was okayed – they didn’t frown upon it. I got into a fight and I did okay in it. Next think you know, I got into another fight and I thought, Geez I’m doing okay at this. I went on and sort of toned my fighting skills and used that as one of my big elements or big parts of my game back in the ‘70s when it was condoned. It obviously helped me, you know. Without being aggressive – being able to fight – I certainly wouldn’t have gone on to play 12 years in the big leagues just on my ability. You needed to add a little something else. I was a role player, if you will. We had our goal scorers, so we needed someone out there that was a big, steady defenceman that could protect the smaller players and the more gifted athletes. That’s the way the roles were back then and I just picked up one of them. I would be lucky to be playing in the NHL today, I’d imagine, with the rules the way they are now. THW: With that being said, is the enforcer role on its way out of the game of hockey? DH: It sounds like it. They’re trying to get rid of it. THW: The game’s obviously changed incredibly since you played, what are your thoughts on the changes? DH: Well, it’s still a hard game. It’s always going to be a tough game. Back then, the rules were open. Guys were able to hit and fight. The fans wanted it and the league wanted it. 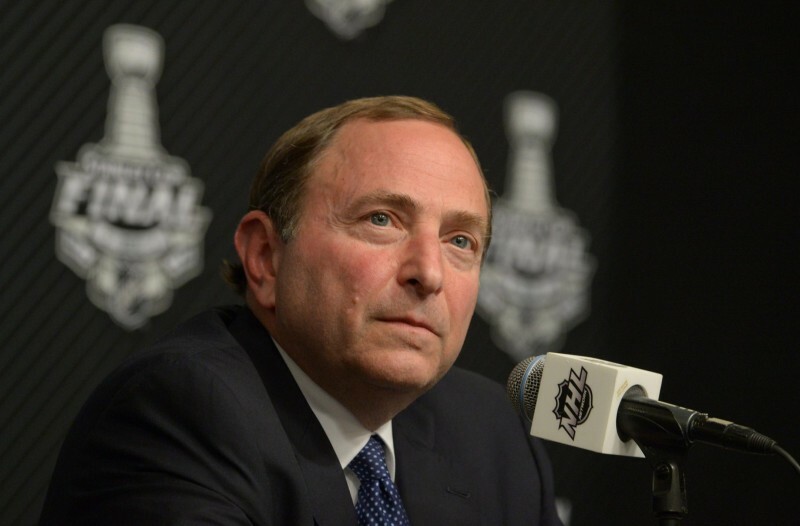 Now, they’ve clamped down on it and the new NHL, Gary Bettman, they’re trying to eliminate it. Whether it’s good or whether it’s bad, it opens up doors for some guys. But it’s a whole can of worms, if you will, and if you want to try and dissect that… well you either like it or you don’t. I still like watching it. You know I don’t like it when a defenceman can’t take a guy from the front of the net to help his goalie. I don’t like that. I think if a guy’s fighting for the puck in the crease and right there you should be able to hit him. It’s a contact game. You should be able to knock a guy down. Anyway, Bettman isn’t allowing that now. There’s some things I still like about the game – the speed, their shots are so hard now, the equipment is so much better, and the kids are getting bigger. But I think the ice surface is too small and I think they have too many referees out there. I think you only need three. But I do enjoy the game. I’m still a fan. THW: Earlier this season, Phaneuf and Iginla tried to get at each other and it was interesting how quickly it was broken up. What are your thoughts on the immediacy of it now? DH: You can see it – if anything happens on the TVs now they have the cameras shifting right away from it. They’re looking for a different breed of fans. The days of the Big Bad Bruins and the Broad Street Bullies, they’re going by the wayside. Look at Montreal now. They’re getting smaller skaters and you see a guy like Brendan Gallagher sneaking under Chara to sneak in a winning goal because he’s two feet shorter than him. Chara can’t even hit him because he’s going to get a penalty if he hits him. There’s the part of the game I don’t like. They’ve handcuffed the defenceman around their net, their crease, and their goalies. Back in the day when I played, the nets had a six-inch steel pole that came out of it and they didn’t move. And guys didn’t charge the net because it would be like charging a football field pole. It’d be the same thing – it’s not moving – so guys didn’t go to the net like that. Now that they’ve put the magnets on them, the guys know that he can just go in and hit it and it’s just going to come off. Goalies are getting banged around. Guys don’t have any fear of going to the net. It made it tougher for defencemen in the end.